Christmas Vacation in Lefkada: a Guide for Christmas Events. The history of Lefkada begins at 8000 BC. Significant archaeological findings have been revealed by the prominent German archaeologist Dörpfeld . The findings are believed to belong to the later phase of the Neolithic period (4,500-3,200BC). According to the theory of Dörpfeld, Lefkada is Homer’s Ithaca. 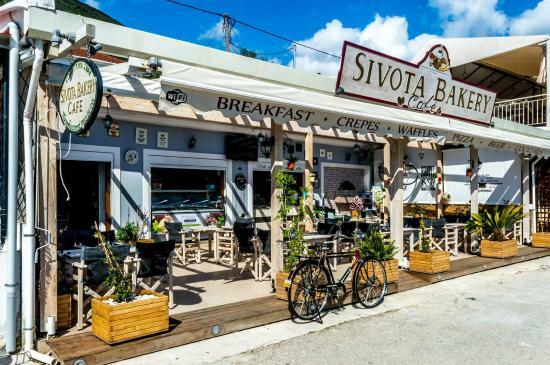 In fact, there are many sources noting that the grounds around Sivota and the Southern Lefkada areas are full of grazing ground for animals to complement the amazing fish that fishermen caught in those days. 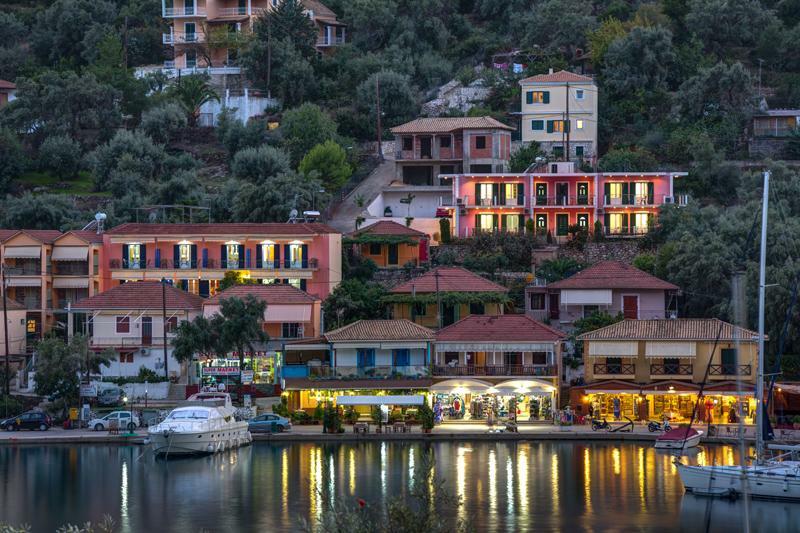 Many of the inhabitants from the village of Eugheros engaged in fishing from the small natural harbour of Sivota. Over time, some fisherment built their first homes in the fishing port of Sivota. This is how the relocation begins in the area. 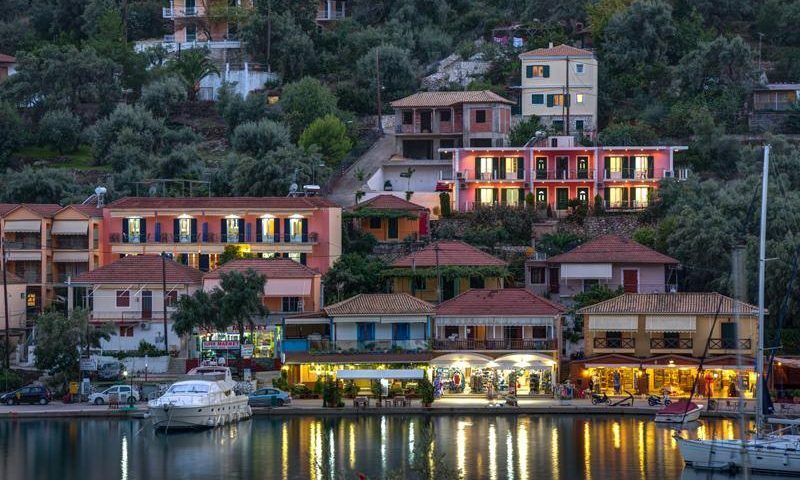 Over the years, Sivota, from the small seaport of Eughiros, has evolved into one of the largest and safest natural anchorages of the Ionian Sea !!!!! Sivota during the day reminds you of a quiet small village that rises at dusk when a number of sailboats and other boats arrive at the harbor. In the southwest of Lefkada, at an altitude of 600 meters, you will meet Exanthia , a traditional mountain village. Crowned with green and amphitheatrically built on the mountain, it offers the tranquility of the countryside and sincere human communication with respect to the visitor. 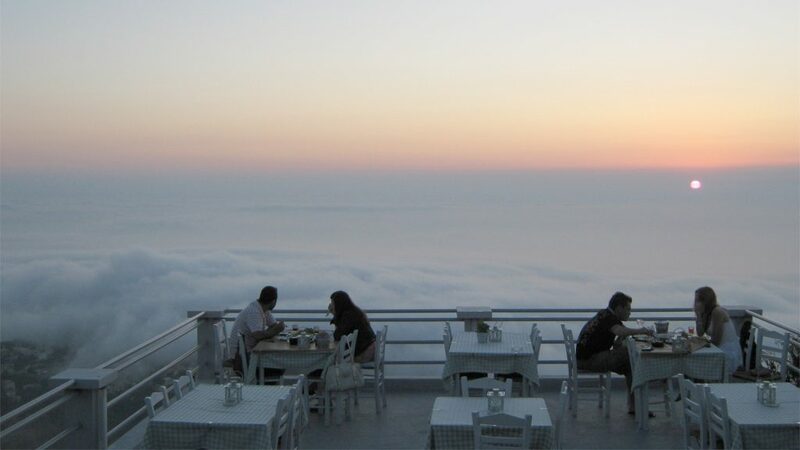 There, hanging at the top of the mountain, it gives you its own spot the café – tavern, “Rachi” . In harmony with the environment, made with passion and simplicity, welcomes you to its cool terrace. On the open skyline overlooking the Ionian Sea for one or more moments we are waiting for you to have your coffee, taste our homemade tastes from the traditional wood oven, freshly cut vegetables from our garden, exquisite local meats and enjoy our “own “wine. And in the end, after the “intensity” of flavors and smells, you can relax with music and draw the colors of the sunset and the sea in the horizon of your heart! 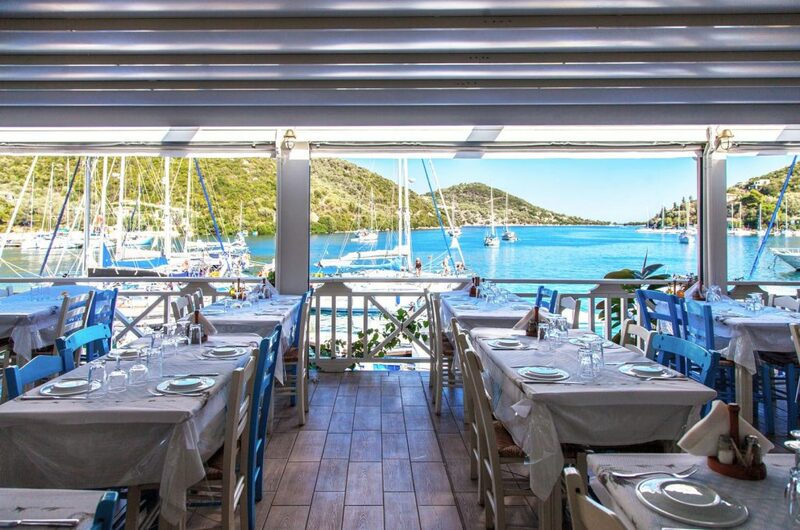 In a nutshell, everything began in 1976 with Captain Stavros, Mrs. Vasiliki, a boat and a few tables next to the sea. The fish from Captain Stavrou’s nets went straight to Mrs. Vassiliki’s kitchen. In a small and welcoming place the locals welcomed the summer months, as well as the first visitors to the island where they stopped to enjoy the endless blue-green landscape and a well cooked homemade dish. Stavros’ tavern, a family-run business faithful to the tradition, has passed all its secrets from generation to generation. Keeping the quality unchanged will bring you and your senses to the Ionian Sea, which combined with the pure and local materials it uses will enchant even the most demanding palate. With its unique creations of seafood and meat, the Stavros tavern is an institution in Greek traditional cuisine. In a place suitably shaped by combining yesterday with today is a station, not only for locals but also for tourists. Especially for those who sail in the Ionian Sea, offering free anchoring on the private water jet directly in front of the tavern. Thymari is established in a traditional building of the historical center of Lefkada. It’s guests are hosted in a cobblestone courtyard among dozens of flowers and fresh herbs. The location is ideal for a quiet and relaxing dinner. Extra virgin olive oil, fresh vegetables, fresh meat and fish, are solely used in the preparation of the dishes. For frying, sunflower oil is being used. No canned products, commercial sauces, cooking powders or premade frozen products are being used, as well as microwave ovens. The pasta is fresh, handmade, daily prepared in our facilities. The sauces which accompany the meat dishes are made from beef bones without adding any other artificial substances. The wine list is extensive and is consisted of labels by Greek and international winemakers. Many of our wines are offered by the glass with a Vinito wine dispenser or Coravin method. Located on the southeastern side, among the green hills, the beautiful deep bay of Sivota, which looks like a fjord, offers a secure anchorage to many boats. Inside the bay we find the homonymous village of Sivota. Sivota is 5km from Vasiliki and 10km from Nydri. It is a natural bay that provides the opportunity to dock pleasure boats. Known to sailors for the safe anchorage it offers in bad weather and for its unparalleled natural beauty. It is one of the most picturesque harbors in the Ionian Sea. Surrounded by hills overlooking the olive groves and the sea between the reminiscent Scandinavian fjords, the village of Sivota was rightly identified as a traditional settlement. It is famous for its seaside fish taverns with the wide variety of seafood, ready to satisfy the most discerning visitor. 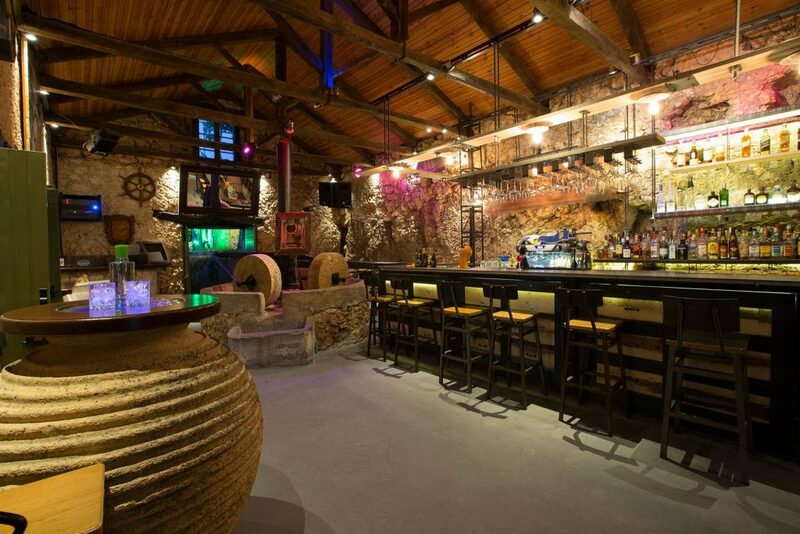 The Liotrivi coffee / bar is a former oil mill in full harmony with the natural environment, dominated by stone and wood. In the courtyard next to the sea with the sweet fragrances of the flowers, the atmosphere is exciting … Its thoughtful and elegant environment offers a delicious breakfast, always made with the purest ingredients. The rich variety of coffees, beverages and natural juices it offers along with friendly and fast service will leave you completely satisfied. Liotrivi is a summer meeting point. Each year, he constantly gains friends from the countless yachts that find shelter in Sivota’s harbor and the surrounding rooms. The Liotrivi coffee / club caters for your culinary worries, offering delicious cold dishes, snacks, hamburgers, sandwich clubs, toasts, varieties, cool salads prepared with homemade taste with the purest and most fresh ingredients and sweets such as apple pie, brownies , fruit salads that come to fill the menu. Nostalgic flavors, pioneering flavors. Fresh ingredients and special cooking modes that capture the taste and lead to enjoyment. 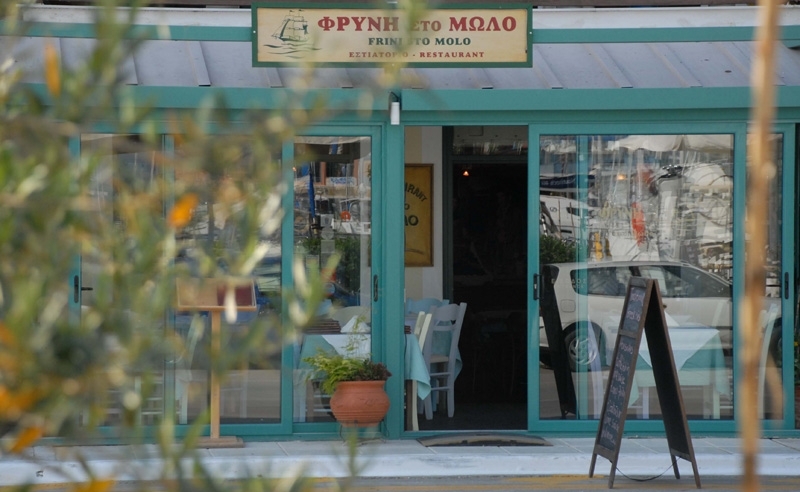 “Fryni sto Molo” is the name of the restaurant, but none of the residents call it that way. 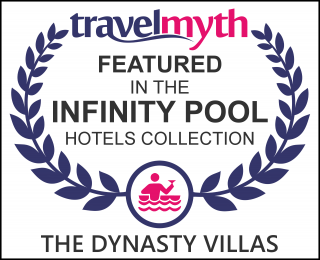 Its owner – Freenis – has connected its name and its presence with the space so that Fryni is enough. The restaurant of Fryni is one of the first to recommend to someone who wants good food and beautiful surroundings. We will not “make a favor” in Fryne, because the restaurant after 22 years of operation has also won its good name and preference. It is open summer winter every day at noon and night. It is the home of Frini literally since it is there all day long until late at night. During the first years of operation, the owner passed it to the kitchen. Today she is able to have complete supervision of the site without being in the kitchen itself. He never treated the restaurant as a “business”. She has been using the same people for many years, so they look like a company, who do not talk a lot, many times only with the eyes. The warm, friendly and well-cared place is decorated with taste and refinement. Fryni started on the recipes of Evi Voutsina, which until today are the basis of her kitchen. A restaurant is not at the top for so many years, staying static. As an intelligent and agile woman who is, she never stopped looking and enriched not only the menu but also the whole function of the restaurant. It could not have been otherwise, since she grew up, matured and enriched emotionally in this place, to which she puts every day taste and ideas. Apart from traditional Lefkadian dishes, it offers delicious food from all over Greece. This year’s menu is illustrated! Many of the dishes, apart from the photograph of the food, refer to the materials and the way they are prepared. The place has original atmosphere full of hospitality and friendliness, serves traditional plates, and people there are treating you like a relative. 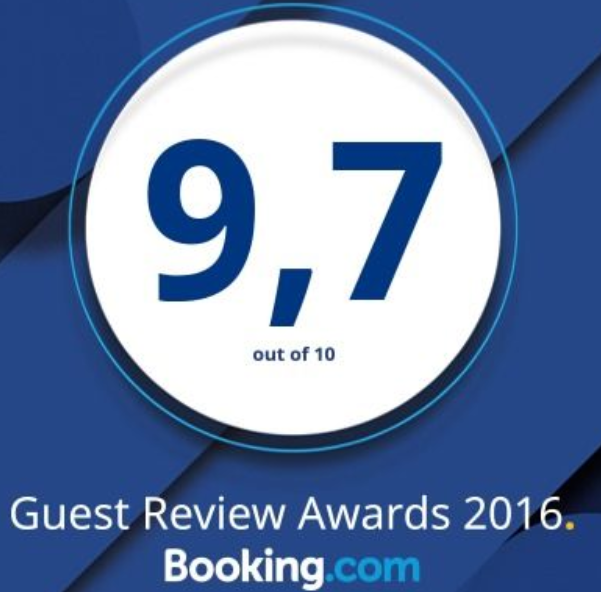 All in all Spyridoula’s place has undoubtedly very cozy environment and it’s one of the top notch choices if you are staying in Syvota. 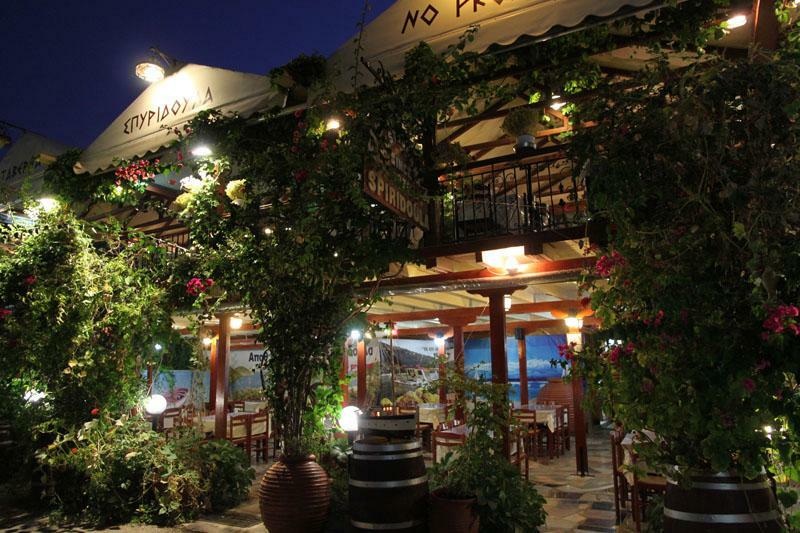 Of course, there are many other tavernas and restaurants with great food in Lefkada and in the surrounding villages. Each year, new ones spring up. If you have discovered one that you like don’t hesitate to tell us and we will add it to our list.